During last month's IAAPA Expo, I met with many of our industry's top ticketing providers to network and to see what's new. There were two key themes that resonated across the expo floor: 1) Service & Support and 2) Server-based versus Cloud-based. Service & Support. Just as we grow in our ticket offerings--reserved seating, timed events, capacity, dynamic pricing, entitlements--our ticketing system grows right along with us. Over time, many systems have become so powerful and so complex that the only way to get the most out of them was to attend their costly and time-consuming classes and seminars. But lately, that seems to be changing. Many providers are now offering user groups and sharing other resources to bridge the knowledge gap. Server-based versus Cloud-based. In the past, most ticketing systems required that a server be present on site at the facility to process transactions and to run reports. Onsite servers ensured that we as users had control over system operations and that, even when the Internet or credit card link failed, we could continue to operate. But onsite servers need to be maintained...and updated...and secured. With the advent of the Internet, a whole host of challenges including PCI Compliance, identity fraud, and data integration have demanded a versatility that is not possible with the traditional onsite server. Cloud-based systems don't need an onsite server--everything is done in the cloud. The user's ticketing system is completely set up and managed in the cloud. Today, redundancy is a critical consideration for most businesses. With the threat of Internet security, PCI compliance, and identity fraud, more and more organizations are opting to not store personal data onsite but instead to handle it through cloud-based systems and services. Server farms like Rackspace include redundancies to ensure system uptime. It can be a daunting project to select the right ticketing system. In fact, many attractions and institutions are so entrenched in one system or another that changing systems is completely unthinkable. It's not just that change is difficult. The fact is that as our facility grows, we become more and more dependent on one ticketing system, one CRM, and one piece of financial software. Our systems tend to become indistinguishable from our processes, SOP, and even our culture. Learn More about Gateway Ticketing. Learn More about OmniTicket Network. 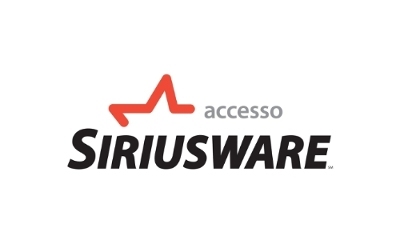 Learn More about accesso Siriusware. "In business it's about people. It's about relationships."